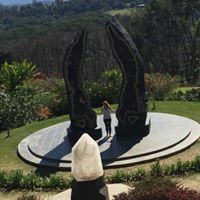 As many of you will know from my last blog as well as from my public Facebook page, I have been travelling through northern New South Wales, including spending some time on a farm for rescued animals. I felt these animals’ often very subtle, joyful and forgiving Energy and I have no doubt that, like us, they are spiritual beings, imbued with a loving spirit. This was a very soul-restoring time that tuned me in again to the creative energy which is responsible for all life and which I choose to call ‘Goddess’. The reason I choose to call this energy Goddess (as do many ancient esoteric sources) is because goddess energy is non-discriminatory and embraces all creation. Some time ago, when in training to be a Catholic scholar, I reached the conclusion that although I had accepted the gentle and evolved energy of Yeshua (especially as it is portrayed in the Gnostic Gospels) I could not relate to any dogma related to the old portrayal of a judgemental God. I also learned through my studies that this idea had been heavily edited by the powers at hand in the last Roman Empire, with the edits being of a political nature and made by warrior kings, such as the Emperor Constantine, who did not have the capacity to understand the full dimension of the message. Their sole motivation was to advance themselves socially. We still live with the hangover of such spiritual narrow-mindedness now. But it is not my intention to be critical here. I believe that if mainstream beliefs suit you and nourish you, that is beautiful. 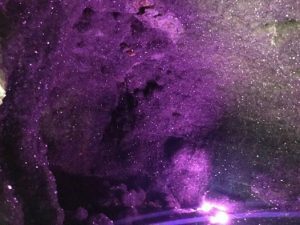 This blog is for those of us who need a gentler and more embracing touch of the feminine principle of creation. It is often Western religious thought that is credited with the subjugation of nature and the view of it as inferior but also the scientific revolution of the 17th and 18th century, which brought us many useful inventions, is also responsible for coveting this notion. Rene Descartes with his famous saying cogito ergo sum (‘I think therefore I am’) further limited our perceptions to our logical mind alone. His version of the universe looks to me like a Demiurgian labyrinth where nothing outside our mind is possible and the natural world is only a mind-less machine operating on an automated pilot. Yet anyone who loves nature or has owned a pet knows otherwise. There have also been many thinkers, even in the Christian tradition, who have thought otherwise and who have seen all of us – humans, angels, animals and trees – as a part of a great evolutionary progression towards a universal consciousness. Many of them have been religious men of subtle minds and great hearts who, alas, were either silenced or called heretics. But their history is old and their time has now come. Let me share my two favourite philosophers of that persuasion: one is the 9th century Irish philosopher John Scotus Eriugena and the other the 20the century French philosopher, theologian and scientist Teilhard de Chardin. I have a very special relationship with John Scotus Eriugena, as very early on in my studies at the Pontifical Institute (where he was gratefully mentioned – and I give them a great credit for that) he touched my heart. He was also the hero of my second short story ever published (in an old issue – 1998, I think – of Philosophy Now under the name of Joanna Motyl, as I was playing then with pen names worried how native speakers of English would deal with my last name). John Scotus Eriugena was a 9th century Irishman (Eriugena means born in Ireland). He was a man, probably a cleric, as all educated men at that time needed to be, since Ireland at the time was one of the very few places that preserved the ancient Greek manuscripts. Only Irish monks knew how to read and write Greek and, consequently, had access to the very ancient teachings of the Greeks and, through the Greeks, the teachings of the East (especially the Greek Byzantine Empire). While the rest of Europe was being overridden by barbaric tribes, the Irish held the light of this ancient knowledge. 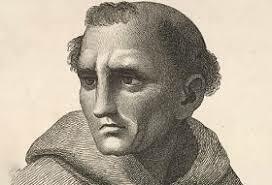 But John Scotus Eriugena was not only a good student of ancient knowledge, he was a great thinker and spiritual mind himself. On that account he was invited to become a scholar at the French court of Charles the Bald, where he wrote his magnificent work On the Division of Nature which, I believe, is the greatest medieval masterpiece on spiritual thought. In it – and here please hold your breath – he said that all creation can be divided into that which has not been created but can create (The Divine Creator), that which is created and is capable of creation (us), that which is created and does not create, and that which is not created and does not create (the final goal where all creation ends and returns to its source). In the end, Eriugena believed that everyone and everything will return to its original source (or creator). There is no hell, there is no punishment – there is only the joyful return of all beings to their creator. More than that, Eriugena believed that all creation, including animals, trees, stones, etc is imbued with a divine spirit, even if to different degrees. 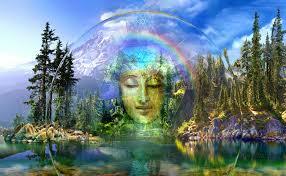 Meaning, the whole of the natural world, the whole of nature is a feeling, intelligent and sacred. As you can imagine, this did not go down well with the religious powers at the time. Eriugena’s work was burned while he was condemned as a heretic. But his work and genius is still with us – and we need his wisdom now. In philosophical terminology a system that embraces all creation as sacred and divine is called Pantheistic, and Eriugena therefore was accused of being a Pantheist. 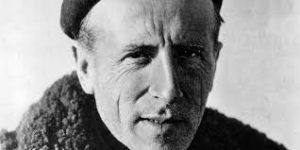 My second favourite philosopher of a similar persuasion was Teilhard de Chardin, a 20th century Jesuit priest and scientist who developed, in some way, a similar system. It was similar in the sense that it also focused on the evolutionary progression of creation. De Chardin did not believe that the evolutionary process was applicable only to our biological systems and believed it also applied to our consciousness. In his posthumously published work, The Phenomenon of Man, he very subtlety argued for the existence of an evolutionary progression of creation from a beginning source (sound familiar?) which he called the Alpha Point to the Omega Point, which is our final destination and which he equated with Christ consciousness or a universal consciousness – the final goal of all creation and the fulfillment of our destiny. Although De Chardin was harassed for his beliefs and philosophy, and his most influential work was only able to be published after his death by a female friend, his influence is great in science, philosophy, arts, and spiritual thought, and is of a rare subtlety and scope. In many ways he reminds me of John Scotus Eriugena, not only in his evolutionary take on our species but also because of its universalism, inclusiveness and compassion. 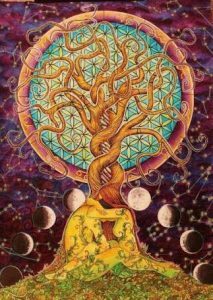 All qualities that I have come to associate with the Divine Feminine – that which excludes no one and nothing and embraces all in our journey back to our Source. I think, now more than ever, it is the time to mindfully ask ourselves about our relationship with nature and, redefine It as the capital “It” that is fully alive and aware entity, imbued with its own wisdom, love and spirit that can teach quite a bit about, for example, inter-connectivity and relationship with other species with whom we share this planet. I would love to know how you feel on these issues before we move to another Goddess-centred blog. 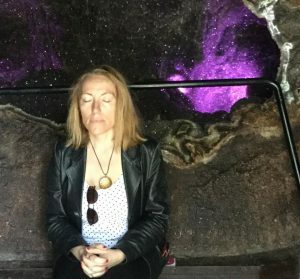 PS As an afterthought, I attach two photos from the trip: one meditating in the Amethyst Cave (the purest Energy of Mother Earth – you go into spontaneous deep meditation) and with two Amethyst pillars – if you look closely at their bottom Mather Nature carves two hearts for us! This entry was posted in Goddess News and tagged Alpha and Omega, Divine feminine, Dr Joanna Kujawa, Eco-spirituality, Goddess, Goddess News, Goddess News Spiritual Blog, John Scotus Eriugena, nature, Panthesim, spiritual, spiritual blog, spiritual blogger, Spiritual Detective, Teilhard De Chardin. Bookmark the permalink. Thank you Johanna. That was a post I resonate with immensely. I never thought much about pantheism but upon doing so I found that describes how I have long seen ‘life’ and the interconnectedness of all. I don’t say much these days as, having meditated on my breathing and connecting to Source I long only for silence where I connect with I Am. I write most of my experiences down in poetic form and long to go outside with Mother, whether in the bush or under the night sky. I love Northern NSW especially around UKI and the hinterland. Currently taking a break in Wangaratta and hope to spend some time in the high country where I feel more at home. Love to you and your work. I am not long for this world, now; my wife has acute emphysema and I have a heart condition, so I am in a final cleansing mode and enjoying a state of reflection. Sometimes it is tough going, coming to terms with this transition and still having to front many things as they arise and let go. Thank you for this beautiful comment, Michael. Indeed, meditating on ‘I am’ is one of the highest methods of meditation and connecting with the Source as, ultimately, we All meet in the ‘I am’. Like you I am also a great love of Nature and have been connecting with Her for many year snow and long to connect even more. That is why I do not fancy living in the city anymore. We can learn so much just form being silent in Nature. I believe that most of modern malaise comes from complete disconnection form both our Inner Life and Mother Nature. The world tempts us with all the false ‘cures’ for unhappiness while the answers are very simple, right in front of us and imbued with great Grace and Beauty. I wish you and your wife all the best, including good health.